Nucific BIO X4 is a probiotic-based supplement that is claimed to be a “revolutionary new compound.” Designed and produced by Nucific Inc., the product is a 4-in-1 nutritional blend that takes full advantage of the power of probiotics and offers numerous health benefits. Aside from these aspects, the supplement has 100% natural ingredients, combining the power of probiotics with that of the green tea and pure Caralluma Fimbriata extract to provide one with maximum benefits in less than two months of use. People usually associate the term “bacteria” with a negative image, thinking about germs and microbes when they hear it. Still, if one would pay more attention to the information he is offered from all sides, maybe he would not be so surprised to find out that bacteria, like any other thing in this whole wide world, have a positive counterpart as well as a negative one. Bacteria are not inherently evil. 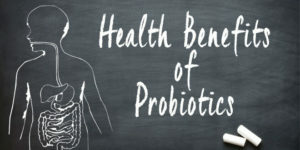 Moreover, billions of good bacteria, also known as probiotics, live in the human body without affecting it in any way. 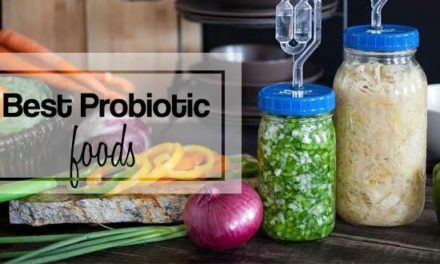 They are essential to its health as proven by numerous studies that show there are more than 400 probiotic strains inside the human body, each with a particular role. They live in every organ, but their number is the largest in the intestines. There is where they interfere with the harmful bacteria’s mechanism of action. What probiotics do is multiply and attach to the intestines’ walls. From that point on, they can offer the body the help it so needs. Probiotics do not improve only the digestion, as they have a wider area of action. They enhance the immune system function, support the production of enzymes that stimulate digestion and can even alleviate irritable bowel syndrome symptoms. Even so, from once in a while, their number decreases and issues are bound to appear. Not even these bacteria with so many benefits are resistant to exposure for an extended period of air and water pollution or long-term treatments with antibiotics or birth control pills. 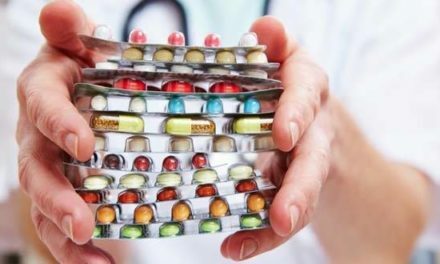 When the body is not able to support the inner organs’ function anymore, science interferes and offers people supplements enriched with billions of similar constituents. 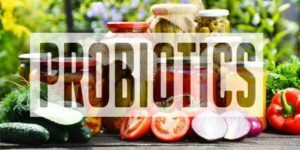 Probiotic supplements are not exactly new on the market, having been used for decades in treating problems related to the digestive system. One such product is Nucific BIO X4. A relatively new one, the supplement promises to improve digestion while boosting metabolism and making the body burn more calories than usual. Its manufacturer claims that “BIO X4 can be helpful to anyone who is trying to slim down naturally without prescription drugs”. Customer reviews seem to support the statement, and many users affirm they would recommend it to a friend. Even so, the majority of people who have used Nucific BIO X4 took care of their diets and exercised on a regular basis. Therefore, it is not correct to assume that Bio x4 was the primary factor in weight loss process. Still, it can be regarded as a triggering element. Moreover, there is insufficient scientific evidence in regards to some of its compounds and their supposed manner of action. So does Nucific BIO X4 deserve its place among more popular probiotic supplements or is it just another product designed to sell well and bring profit as in the case of many others? 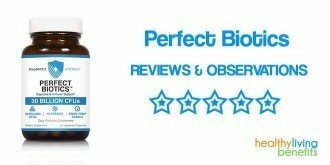 The following review aims to show Nucific BIO X4’s actual effectiveness. The supplement reduces food cravings and makes the absorption of nutrients easier as well. It is stated on the product’s website that Nucific BIO X4 is 100% natural, does not contain any additives or fillers and is made without lactose or gluten. Nucific BIO X4 is a three times a day nutritional supplement meant to help the individual efficiently lose weight while improving the body’s general well-being. Most of the benefits are due to Nucific BIO X4’s formula which contains four scientifically proven nutrients of which green tea’s epigallocatechin gallate and Caralluma Fimbriata extract are the most important. Still, just how effective are the compounds integrated into the supplement’s composition? A probiotic blend consisting of 5 probiotic strains( 4 billion CFU’s/capsule): Lactobacillus acidophilus, Lactobacillus rhamnosus, Lactobacillus Plantarum, Bifidobacterium lactis and Bifidobacterium animalis. Other ingredients present in minor amounts include Microcrystalline Cellulose, Stearic Acid, and Silica. The capsules’ shells are 100% made of vegetable cellulose which makes them suitable for vegetarian and vegan users as well. 13 billion. It is important to acknowledge this fact as many customers shop for probiotics based on the number of CFUs. Judging by this aspect, Nucific BIO X4’s capsules with their 13 billion CFUs may present little effectiveness given the probiotic industry where tablets contain on average from 20 to 100 billion CFUs. BIO X4 is rather modest from this point of view. The most popular and commonly used probiotic strain is Lactobacillus acidophilus. Included in the formulas of supplements designed for various medical conditions, the strain produces lactase, an enzyme able to break down lactose and regulate the digestion process. Mostly used in treating vaginal infection, as it helps balance its natural PH, Lactobacillus acidophilus was shown to improve the immune system’s function, ease the digestion process and even lower LDL cholesterol levels. For a good intestinal health, doctors recommend the intake of 1 to 15 billion CFUs daily. Given that each Nucific BIO X4 capsule contains approximately 13 billion such units, the product might be efficient at least from this point of view. Lactobacillus rhamnosus is essential for the woman’s urogenital system’s health. Still, what is even more interesting about this strain is its ability to strive in hostile environments which makes it extremely beneficial for patients suffering from the irritable bowel syndrome. 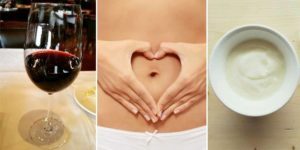 A research study that included two groups of women pointed towards Lactobacillus rhamnosus’ weight loss properties. One group was given supplements enriched with this probiotic strain while the other was offered placebo pills. The participants from the first group registered an increased weight loss rate and fewer food cravings. Also, the women who took the supplements continued to lose weight weeks after the study ended and were able to maintain a healthy body weight for longer. Lactobacillus Plantarum lowers the gas production inside the intestines and alleviates the bloating sensation. Naturally occurring in a traditional Korean dish named Kimchi which is basically pickled and spiced cabbage, it was first isolated from the human saliva. This particular strain is remarkably resilient in acidic environments and thrives in those whose temperature is close that of the bodies. Aside from lactolin, it contains an entire series of antibiotics that target the harmful bacteria and sustains the regeneration and growth of the good ones. Bifidobacterium lactis is a less popular probiotic strain but which helps the body in such a way that it can be regarded as one of the most potent ones. It enhances the digestion process of simple and complex carbohydrates and lowers LDL or “bad” cholesterol levels. 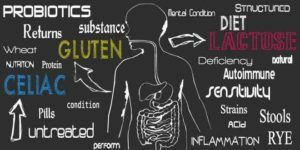 Moreover, when combined with other strains, it can help alleviate symptoms of celiac disease and sustain the health of the gastrointestinal system. Some studies have shown that Bifidobacterium lactis might even provide relief from an array of signs that come as a result of chemotherapy and radiation in cancer patients. The best way to supply the body with it is by consuming fermented milk or taking supplements. Bifidobacterium animalis subspecies lactis, widely used in probiotic supplements and often found in many of the dairy products on the market, improves the colon’s function and offers relief from constipation. It mostly covers the area of the gastrointestinal system, where the largest Bifidobacterium animalis colonies naturally occur. 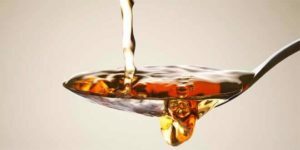 The strain produces three types of acid, namely the acetic, formic and succinic ones (with the last facilitating the energy exchange between cells) as well as ethanol. To obtain them, it uses carbohydrates which it then converts into the named chemical compounds that can colonize the intestinal walls (carbohydrates, especially the simple ones, are the macronutrients the stomach can break down the easiest). Amylase, bromelain and lipase are three enzymes of entirely vegetal origin so the body can easily break them down and immediately make good use of them. They help with the absorption of nutrients and can alleviate certain digestive system issues. Despite this, there is not enough clinical evidence in regards to potential weight loss properties. At best, they can only improve the digestive system’s function and enhance the probiotic strains’ mechanism of action, which still remains a positive aspect to take into consideration. Nucific BIO X4’s manufacturer does claim the supplement is efficient in helping the customer shed extra pounds. Even so, the statement may be less related to the already listed ingredients and more to the following compounds. Each capsule contains a 100 mg weight management blend based on a 50% concentration of EGCG extracted from green tea. The compound is the most potent catechin found in tea in general. If sufficient clinical evidence may not back the previously listed constituents, EGCG was and still is intensely studied. A research project conducted on the subject of tea consumption showed that daily consumption for several months in a row eventually led to a decrease in body fat content. Considered a metabolism booster, EGCG enjoyed a variety of studies that pointed towards various benefits such as an increase in the fat burn rate or improvement of the digestive and mental functions. The Caralluma Fimbriata extract is believed to reduce appetite and boost metabolism as suggested by the positive results of two studies from 2007 and 2013. 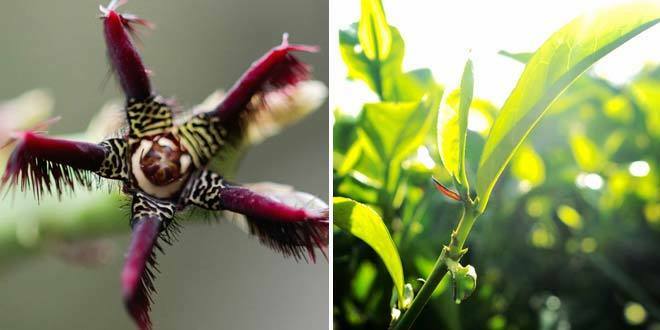 Nonetheless, the scientific proof and information are unfortunately insufficient as to state that Caralluma Fimbriata extract might be more potent than other similar compounds. Unlike other supplements whose manufacturers make big claims without delivering on their promises, Nucific BIO X4’ may be beneficial for the digestive system and weight loss process alike. Nucific Inc. states scientific proof backs their products. Even so, very little information related to this aspect is offered to possible customers on BIO X4’s website. Furthermore, many of the product’s health benefits are not linked to major clinical studies. This may make one believe that the company’s main aim is to sell the product through various marketing strategies without providing the user the promised benefits. Despite this aspect, Nucific BIO X4’s ingredients do benefit from a number of scientific studies conducted on their chemical composition. While there is not enough information on the digestive enzymes’ mechanism of action, the probiotic strains found in Nucific BIO X4 can help the digestive system. In brief, the ingredients present in the supplement’s structure are evenly distributed. If half of them improve the digestion (the probiotic strains and digestive enzymes) the other half (green tea and Caralluma Fimbriata extract) is meant to boost metabolism and enhance the fat burning process. The overall formula seems to be efficient with all compounds designed to support health and wellbeing. The only aspect that might raise concern is the number of CFUs present in BIO X4, one that is below average. Therefore, it would not be correct to assume Nucific BIO X4 is a powerful probiotic supplement given that similar products contain multiple times the number of CFUs present in it. All the ingredients integrated into Nucific BIO X4’s formula have been tested and deemed as generally safe. Nonetheless, more research projects are to be conducted as the effectiveness of some of them is doubtable. All in all, the supplement’s constituents should present no problem to the regular user as they are plant-based. As one can easily notice, none of these side effects is major enough as to cause possible complications. Moreover, Nucific BIO X4 users might experience them in the first week of taking the supplements but only because the body needs a few days to accommodate to the new substances. After a while, one is expected to get used to the additional nutrients. The supplement is manufactured by Nucific Inc., located in Tarzana, California. The company claims to produce its supplements at its headquarters. Aside from BIO X4, it also sells a product called CL X3. The manufacturer states CL X3 can lower appetite while boosting metabolism so the fat burning process can be more efficient. Nucific is a relatively new company and is currently unlisted with the Better Business Bureau. In a nutshell, Nucific BIO X4’s claimed benefits are not entirely supported by proper studies. While the probiotics included in its formula might improve the digestive system’s function, and the green tea’s EGCG can increase the metabolic rate, the overall effects will likely be minor. The number of CFUs present in BIO X4 is modest, compared to similar weight loss aids that contain probiotic strains. Furthermore, the product is said to be made of ingredients that are supposed to enhance fat burn. Again, there is too little information in regards to their manner of action and their ability to impact the body weight in any way. Also, BIO X4 is rather pricey for what it can do, leaving aside the big claims made by its manufacturer. 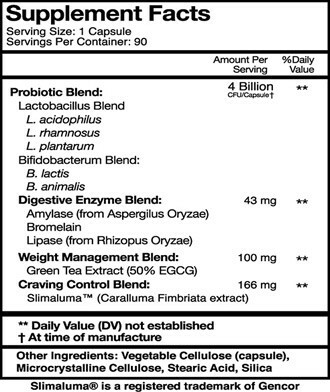 Even so, the product remains an above average weight management probiotic supplement due to its formula. Leaving the less traditional compounds aside, people aware of the probiotics’ and green tea’s health benefits might be interested in trying the supplement. 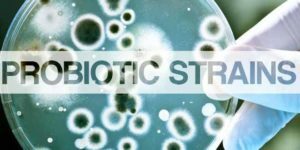 PreviousIs Perfect Biotics by Probiotic America the Best Choice on Probiotics?